France and Britain failed to persuade other powers meeting in Paris to impose a no–fly zone over the country, where pro–Gaddafi forces claimed to have taken the last major town before the rebel stronghold. NATO leaders are gathering to discuss missions to impose a no-fly zone over Libya, after the French government reportedly said strikes could come “within hours”. NATO warplanes are expected to take the lead in the operation after the UN Security Council cleared the way for air strikes by approving “all necessary measures” to impose a no-fly zone. 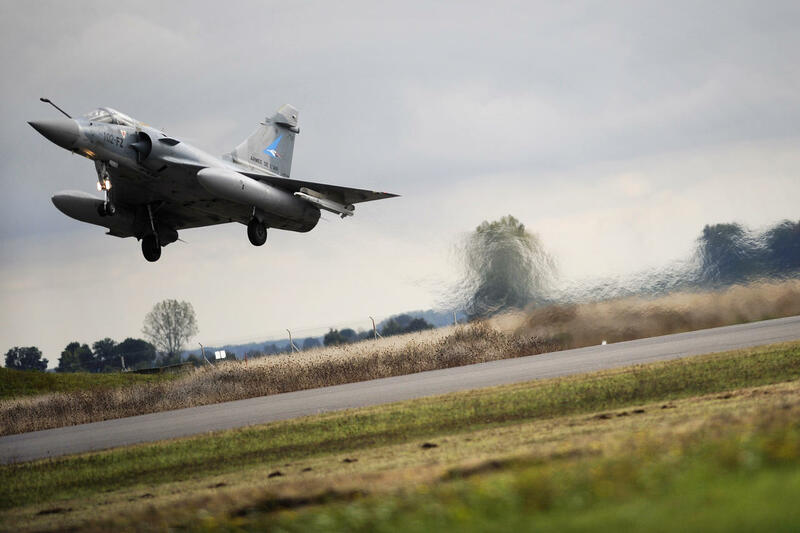 The Agence France Presse news agency reported that French government spokesman Francois Baroin had said the strikes will come “rapidly … within hours”. Mr Baroin said the French military would take part in the operation but would not give details of what the targets could be. A NATO spokeswoman said the alliance would meet to debate the crisis from 9.30am GMT (8.30pm AEDT). The ambassadors from the 28-nation military organisation will deliberate whether three conditions have been met for NATO to act, spokeswoman Oana Lungescu said, noting that the alliance acts by consensus. “For any NATO operation, there needs to be a demonstrable need for the alliance to act, firm regional support and a clear legal basis,” she said. The United Nations authorised military strikes to protect Libyan civilians (Gilad Atzmon: What About A No Fly Zone for The Palestinians?) and curb leader Moamar Gaddafi’s forces this morning, hours after Mr Gaddafi threatened to storm the rebel bastion of Benghazi. It approved a resolution permitting “all necessary measures” to impose a no-fly zone, protect civilian areas and impose a ceasefire on government forces. Diplomats have indicated that air strikes from a coalition led by Britain, France and the United States could be imminent. However, the resolution rules out sending in foreign ground troops. Norway’s defence minister Grete Faremo has confirmed his country will also contribute to the operation, but says: “It is too early to say exactly in what way. Sending air capabilities would be natural”. In response to the UN’s resolution, Mr Gaddafi’s son Saif said his family was “not afraid”. “We are in our country and with our people. And we are not afraid,” he told ABC America from the Libyan capital Tripoli. This evening there were reports that forces loyal to Mr Gaddafi had intensified their bombardment of the western rebel-held town of Misrata. Earlier the news of the Security Council resolution was greeted with wild celebrations in the remaining rebel strongholds of Libya, with crowds in Benghazi and Tobruk swarming into the streets to chant slogans, wave flags, fire weapons and let off fireworks. As rebel fighters in Benghazi readied themselves for an assault by Mr Gaddafi’s forces, the Libyan dictator broadcast a chilling warning to the city, saying his forces would be there by “tonight” and would show “no mercy” to the “rats and dogs” ranged against them.